ATMOSPHERIC WATER GENERATOR PURE WATER FROM AIR 4U WITH H2. We are also Proud to produce final environmental solutions in Terra and Aqua physics. Our UltraPure water is More pure than Dew® from the most technologically advanced electronic atmospheric water generator made on the planet today, Called Water Precipitation generator systems or W.P.G's.Now with our NEW Ultra Series systems from 10 gallons to 5000 liters a day of Ultra Pure Water. 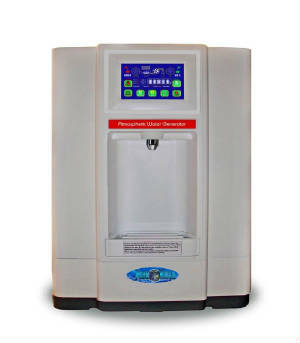 Advanced Home and Office systems now have Digital Touch Screen control panels available with Soda or Sparkling Pure Mineral water only at our Global Consortium of H2O Manufacturers PLANETWATER. ALSO INTRODUCING THE T.O.P.S. TROPOSPHERIC OCEAN PRECIPITATION SYSTEMS ROM 100.000 TO OVER 5 MILLIONS OF WATER A DAY WITH OUT COMPRESSORS ELIMINATING THE NEED FOR OCEAN DESALINATION. Planet Water is the newest atmospheric water generator Clearing House as a new project of the White Buffalo Nation and The consortium of Global H20 (water) manufacturers to bring wholesale Atmospheric Water generators to the Global Public with new systems for 2010 available now the Ultra7® and Ultra8® Ultra Pure Water Series air to water generation systems. More Pure Than Dew ®, PurePH®, UltraDew® water systems available today. W. B. N. Inc., is a Nevada private Non-profit, Dunn & Bradstreet listed U.S.Interior Department Contractors. that is Dedicated to Indigenous Peace. "OUR Sacred Hoop of Life "
powered by our new Solar Hydrogen Electrical Systems. Self powered water generator systems For The Complete Solutions To Large and Small Scale Water Bottling and Baging Plants. "THE SACRED HOOP OF LIFE"
for OUR Children's Children ! CONSORTIUM OF GLOBAL H20 (WATER) MANUFACTURERS. "ITS OUR LAND, TAKE A STAND"
" SPIRIT of THE PIPE" GATHERINGS AND HISTORIC TRAIL RENDEZVOUS.